Obsessed with health & beauty? Want to try out the latest products for free? You're in luck! There isn't one! Health & beauty companies want people just like you to test out their products. Keep scrolling to check out all the latest health & beauty products, updated every day. Stop off to check out this beginner's guide for receiving free beauty products too - it's perfect for helping you learn how it all works! Are you looking for instant freebie gratification? Read our guide on how you can always get your hands on beauty freebies with Feel Unique's Pick N' Mix Samples. Head to our Twitter page for flash freebies, exclusive competitions and more. 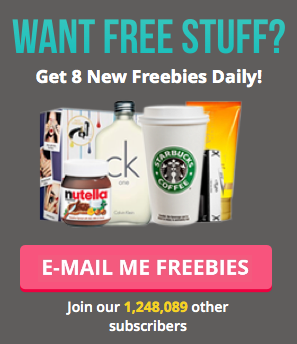 Here you'll find all the latest freebies as they come in! Plus beauty discounts & samples! WE JUST PICKED UP OURS! Free Olay Whip Moisturiser - 120,000 available! Thanks to freebie finder Sofi Ashton for her photo! Get yourself beautiful for the summer with this incredible giveaway. There is quite a few up for grabs so why not see if you can get your hands on this today! Get your free Venus Olay razor now, they have loads to give away, but be quick because these freebies will not last for long! Order a free Trauma booklet and learn all about how major injuries are treated - perfect for students who might be interested in going into medicine! I love this shampoo and you can get your hands on one of 500 cans of Batiste Dry Shampoo up for grabs! You could be eligible for a free eye test at Specsavers! Visit the page linked and see if you fall into any of the categories. Keep your eyes healthy in 2015! Click on the giant pink button to donate daily to The Breast Cancer Site. It's super easy to do.